Welcome to part two of my Blog Special with Terence Dooley. Following yesterday's review, I have received some wonderful messages from followers and friends who are dying to know more. I really hope they go and grab a copy of this book as it is one you would keep forever and possibly keep the story within for many years to come. It may even encourage a few overseas followers to come and visit our Emerald Isle and take a tour of Carton House (30 mins from Dublin ). 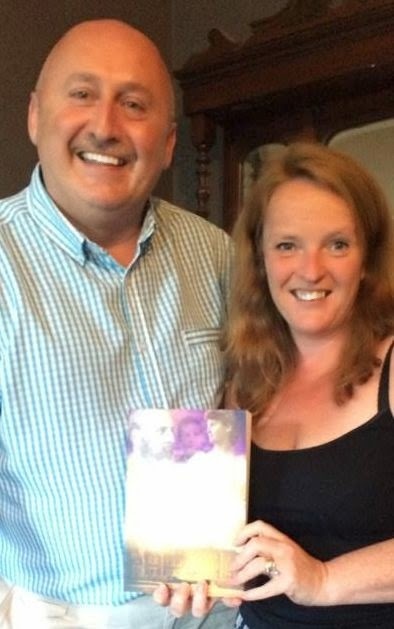 I had the pleasure of a visit from the author this week and I did warn the poor man that my questions may be a little different to the ones he may be used to, but he assured me that he loves the idea of a general readership and was delighted to answer them. He explained how he feels about people outside of academia reading this book.
" At one level you are an academic and writing for a limited audience, but I don't believe that is the way history should be. It should reach a much, much wider audience. This [interview] is the way things should be allowed to go." I started by explaining about my recent return to education and how it made me want to read up more on history, both fiction and non-fiction. To me, this book is a perfect crossover, as it has the most wonderful true story of the Duke and Duchess and how their world collapsed around them, through illness, scandal, politics and financial difficulties. I mentioned that although the first two chapters were quiet heavy on facts and figures, I could see their relevance and even went back to read them after finishing the book. 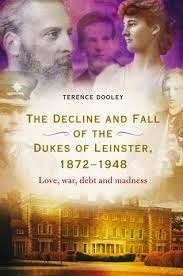 I would recommend the skimming of these details of the previous Dukes and the creation of Carton House for someone who has not read this kind of book for a while. The background becomes more interesting as you begin to identify with the FitzGerald family and where they came from. Funnily enough, Terence remembered that in his previous book "Wild Goose Lodge", he mentions in the introduction that if readers "want to get into the root of this, skip the first two chapters, go straight to chapter three, but come back and read the first two again at the end of the book. The same thing applied to this book". ( I was glad it wasn't just me that wanted to do this ). He also explained that he could have started the book with the marriage of Gerald and Hermione, "but the world which they inhabited, it was the only way I could contextualise what was going to happen in the actual 'fall' at the very end", and he hope people will "stick with it". Good advice, it worked for me!! I asked Terence if he has always had an interest in History? "Absolutely, I don't think there was ever a time that I didn't want to teach". During a childhood illness he ran out of things to read and ended up reading his brother's school history books. " I always wanted to be a teacher, history was my favourite subject, so when you're able to bring the two of them together then you have landed in your dreamland." 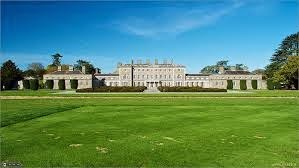 The question of why he chose the area of the Irish Country Houses as a specialty then arose. From studying Unionist politics in Co. Monaghan as part of his post-grad, that involved looking at the War of Independence, the IRA and so on. He then finished his MA and searched for "a taboo subject" for his PhD. The Big House was perfect. "There is a huge amount of material out there that allows you to delve into the different worlds of The Country House". He wanted to know the stories of politics, the people, the tenant farmers as well as the actual houses. This caused me to wonder if it is hard to research the servants stories. It seems this is one of the most difficult aspects as a lot of the staff did not write letters or keep diaries, unlike the landlords, who have left their legacy through correspondence. This could be partly as they couldn't read or write as well as the fact that a lot of the staff would have come from the small village of Maynooth and therefor had no need to write home. Terence says that "letters of reference, or very interestingly, advertisements in the newspapers" were the only available resources. " If there are any surviving documents, they will be of the upper scale staff, butlers, valets etc and you're not going to get much in those". This is a terrible pity as the servants stories would be fascinating and are often the bones of the stories in historical fiction or drama. 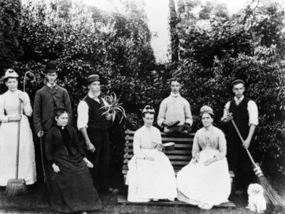 Picture of Country House Staff, location unknown. A question that came to me while reading The Dukes of Leinster, was if the author began to feel for these families as he researched them?
" you have a whole debate around landlords and Landlordism which would obtain to these house in the early years of the 20th century, where they are presented as symbols of colonial oppression", which was carried down from generation to generation. " Now we are far enough removed that we can actually begin to look at these [landlords] and one has to be very objective and look at how these families and these houses operated within local communities. You also have to understand that not every heir to an estate is born to be a chief executive officer of a landed estate. Nor is he born to be kind, benevolent, generous and so on." and " it's the job of the historian to reveal the facts and that is the best you can hope for ". He agrees that with all research, one can get sympathetic "but you have to remove yourself from it". I then asked if he thinks that the aristocracy have any idea what it was really like for their families back then? " I would say it's very difficult for them to even contemplate the worlds that their ancestors inhabited. Take for example the present Duke of Leinster, who is a landscape gardener in Oxfordshire, and there was a recent article in an English newspaper, which described him as probably the poorest remain duke in the United Kingdom. He had no sense of Carton until he came to visit us. There was certain sense of awe at what his ancestors had owned at one time. The magnitude of the wealth that was underpinning all these houses, is probably unimaginable". However, he points out that " they have a very, very strong sense of family history and they are extremely attached to that family history and that's always been the case but remarkably, because they don't have the time or the resources to go through the archives, they are waiting for somebody else to tell then their own history". Having no idea of the scale of research involved in such a detailed account of this families history, I asked the hundred thousand dollar question : How long did it take to complete this book?
" With this particular book, the actual writing took about two years. But the research that underpinned it, you're talking about ten years in total, the gathering of the information etc.". Now that is what I call dedication on Terence's behalf and I, for one, am grateful that he spent those twelve years on this true life saga. 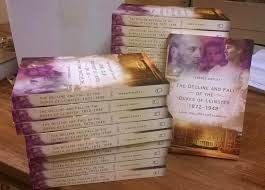 It is a meticulous account, of a fascinating subject of which I hope makes it on to the bookshelves of many homes in Ireland, and abroad. I have often heard fiction writers saying that they miss their characters when their novels are finished, so I wondered if this was the case for a non-fiction writer too and put this to Terence.
" With this book probably more than any other. Sometimes it's very difficult to let it go because you're continuously thinking 'Am I there yet? Is there anything else? What am I missing?'. In this case I felt I had gotten to the bottom of it. Is there a sense of loss? No. Actually there's a great sense of achievement when you have finished it and you have let it go and you're waiting for it then to come from the publishers. And you want to see what the cover is like....You rear it for ten years and then you give it its own wings and hope that it will make its own way in the world". I had many, many more questions but had to let the poor man go..... But before I did, I asked what we can expect from him next? "Actually, I'm going to change direction. 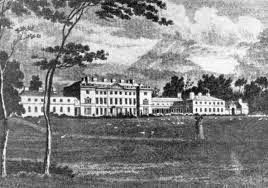 I'm writing a book now on The War of Independence and The Civil War in Co. Monaghan but as well as that, there will be a volume of essays next year on The Country House and The Great War, written by myself and Christopher Ridgeway and probably the year after, Women, The Country House and The Landed Estates. Invariably, we will come back to The Country House again." The book is published by Four Courts Press and is available in good bookshops or can be ordered from online retailers. I have posted a buy link below. I like this more inclusive approach to historical research. Writing solely for academics seems unnecessarily limiting. As someone less familiar with Irish history, I'll have to work my way up to this one, but it sounds very interesting. Thanks, Margaret, for sharing your conversation with this "gentleman and scholar."